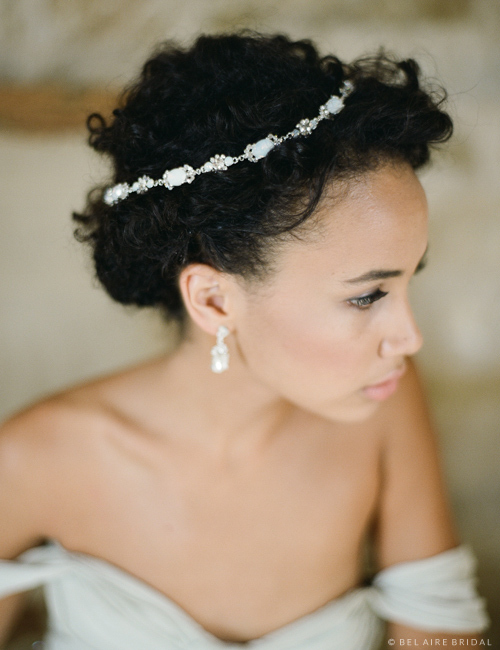 Style an eye-catching bridal look with dazzling hair jewelry. A beautiful linked headband on metallic ties features twinkling rhinestone flowers in a sleek design that adds just the right bit of sparkle. Add a veil with a metallic edge or gilded lace to complete your ensemble. Available in gold or silver. Shown with V7372 (1-tier elbow veil edged with 1/8" metallic ribbon).